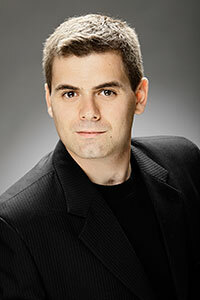 Spanish pianist and scholar Javier Arrebola’s professional activities have taken place in over ten countries throughout Europe, North America and Latin America. Recent engagements have included invitations to Ravinia Festival’s Steans Music Institute as pianist and coach, as well as to serve on the faculty of SongFest at The Colburn School in Los Angeles. In addition, Arrebola has collaborated with the National Youth Orchestra of Spain (JONDE) and represented Spain at the Schwetzingen Music Festival in Germany. Together with Swedish mezzo-soprano Susanna Sundberg, he claimed the First Prize in the Kokkola V Nordic Lied Competition. He has twice been invited to the Franz-Schubert-Institut in Austria, to the Aurora Chamber Music Festival in Sweden, to SongFest in Los Angeles, and to the Vancouver International Song Institute in Canada. Among other orchestras, Arrebola has performed as a soloist with the Peru National Symphony Orchestra and the Turku Philharmonic Orchestra. Arrebola holds a Doctor of Music Degree and a Masters Degree in Piano from the Sibelius Academy in Helsinki (Finland), as well as degrees in Piano and in Chamber Music from the Madrid Royal Conservatory (Spain). His doctoral project at the Sibelius Academy included the public performance of all of Franz Schubert’s finished piano sonatas both on historical fortepianos and on modern instruments, as well as a thesis on The Unfinished Piano Sonatas of Franz Schubert (available online). From baritone Thomas Dreeze’s auspicious debut as emcee at the annual Cub Scouts award banquet in sixth grade to sharing the stage with such vocal luminaries as Luciano Pavarotti, Placido Domingo and Sherrill Milnes, he has enjoyed a varied career in music, arts administration and events management that has taken him from Toledo, OH, to Chicago, Boston, London, the Twin Cities, Cincinnati, Kansas, New York City, and now Indiana. Thom made his Cincinnati Opera debut in 2011 in Tchaikovsky’s EUGENE ONEGIN, and returned for Puccini’s GIANNI SCHICCHI, Strauss’s DER ROSENKAVALIER, and Kevin Puts’s SILENT NIGHT and THE PIRATES OF PENZANCE. He sang Balthazar in the Cincinnati Chamber Orchestra / Xavier University production of AMAHL AND THE NIGHT VISITORS and is a member of the Xavier University voice faculty. Thom recent sang in Mozart’s "Requiem" with the Xavier University Choir and Orchestra and the Faure Requiem at Pleasant Ridge Presbyterian Church. Thom has sung with the Minnesota Orchestra, Lyric Opera of Chicago, Grant Park Concerts, Chicago Opera Theatre, and throughout the Midwest in concert, recital and roles in operas, operettas and musicals. He’s soloist and section leader at Knox Presbyterian Church in Cincinnati. 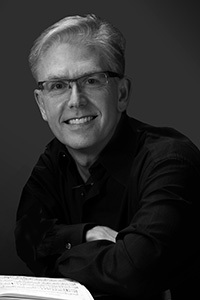 Thom is a co-founder of Evans Mirageas Consulting which offers artistic and strategic planning for classical music organizations and musicians around the world (www.evansmirageas.com). He was Events Program Manager at the Royal Botanic Gardens, Kew, London, and Events Manager at the Minnesota Landscape Arboretum. A founding member of the Dewey-Cygnet Repertoire Theatre in his hometown of Toledo, OH, Thom received his Bachelors Degree in Psychology from the University of Toledo and Masters Degree in Voice Performance from the University of Michigan. 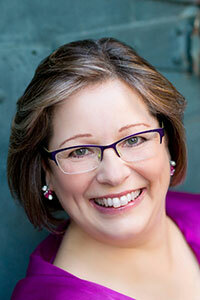 Shiela Kibbe is Chairman of the Collaborative Piano Department at Boston University’s School of Music. Hailed in the Boston Globe as "authoritative" and a "superb collaborative pianist," Ms. Kibbe enjoys an international career as recital partner to instrumentalists and vocalists alike, concertizing throughout the United States and Europe, as well as in China, Japan, and Russia. Ms. Kibbe may be heard in recordings with Courtney Miller, oboist – Centaur Records, Terry Everson, trumpeter – Albany Records, baritone Stephen Salters – Qualiton Records (Cyprés label), and the John Oliver Chorale – Koch. She has premiered works by Derek Charke, Michael Djupstrom, Howard Frazin, Daniel Pinkham, Elena Ruehr, David Sisco, Julian Wachner, and John Wallace, and has been a guest artist for the Eastern Trombone Workshop, Florestan Recital Project, International Trombone Association, International Trumpet Guild, National Trumpet Competition, Naumburg Vocal Competition, and WordSong, Inc.
Shiela Kibbe has given Master Classes for pianists at the Xian and Shenyang Conservatories of Music in China, and in the US at Juilliard, Butler School of Music at the University of Texas - Austin, and Hartt School of Music among others. Graduates of her Boston University degree program in collaborative piano have enjoyed staff pianist positions with the Aspen Music Festival, Boston University’s Tanglewood Institute, College Light Opera Company, Eastern Music Festival, and Opera North, and have held apprenticeships at Virginia Opera, the Cafritz Young Artists Program at Washington National Opera, the San Francisco Merola Opera Program, and the Adler Fellows of the San Francisco Opera. Minnesotan soprano Evelyn Nelson has been praised for her brilliant and agile voice, expressive and graceful musicality, and elegant stage presence. She is a versatile artist able to offer a broad range of musical styles and genres. She was a 2nd prize winner at the Upper Midwest Regional Metropolitan Opera National Council Auditions, and has been a finalist in the Dallas Opera Guild Competition and the Lois Alba Aria Competition. Ms. Nelson is an avid performer of concert and oratorio repertoire, most recently singing Haydn’s Nelsonmesse and Barber’s Knoxville: Summer of 1915 with Colgate University Chorus. She is also frequently sought out for her superior small ensemble singing, and has enjoyed performing with professional organizations such as Apollo’s Voice, the Ensemble Lipzodes, and The QV Ensemble. On the operatic stage, Ms. Nelson’s roles include Rosina (Il barbiere di Siviglia, Center Stage Opera), Sophie (Der Rosenkavalier, IU Opera Theater), Adele (Die Fledermaus, IU Opera Theater), and Susanna (Le nozze di Figaro, Sugar Creek Opera Festival). She holds music degrees from Saint Olaf College, The University of Texas at Austin, and Indiana University’s Jacobs School of Music, where she studied with renowned soprano Costanza Cuccaro. 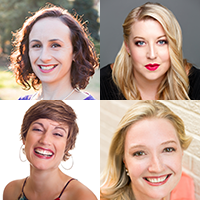 Known for her “rich character portrayals” and “versatile voice,” mezzo-soprano Megan Roth enjoys a varied career performing opera, oratorio, art song, and chamber music, with repertoire spanning from early to contemporary music. Most recently, Megan performed the role of Rosina in Il barbiere di Siviglia with Summer Garden Opera in Virgina and as Meg in Little Women with MassOpera, where she was praised for her “warm and sonically sumptuous Meg.” Other recent engagements include soloist in Copland’s In the Beginning with Vox Humana in Dallas, Texas, Handel’s Messiah with the Rhode Island Civic Chorale and Orchestra, and Dixit Dominus with the Metropolitan Chorale. On the operatic stage, Megan made her debut with Boston Midsummer Opera as Dorabella in Così fan tutte and was invited back to sing the Woman in the Jazz Trio of Bernstein’s Trouble in Tahiti, where she was praised for her “lovely singing” and for being “most at home with her Andrews-Sisteresque routines.” She reprised the role of Dorabella with Opera Providence the subsequent season. 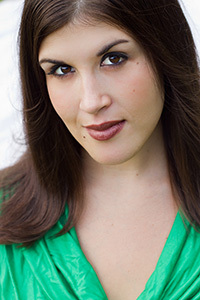 With Opera Boston, Megan sang the role of Francisca in Maria Padilla and covered Beatrice in Berlioz’s Béatrice et Bénédict, after her debut the previous season as Amélie in La Grande Duchesse de Gérolstein. Other favorite roles include Angelina in La Cenerentola, Costanza in the rarely performed L’isola Disabitata by Haydn, and Sesto in Giulio Cesare. Highlights of her solo concert performances include Bach’s B Minor Mass, Magnificat and Weihnacht’s Oratorium, Gretchaninov’s Passion Week, de Falla’s El amor brujo, Mozart’s Vesperae Solennes de Confessore and Requiem, Vivaldi’s Gloria & Magnificat, and Duruflé Requiem. Megan was a 2014 finalist in The American Prize Competition, both in the Chicago Oratorio Award and Opera Division categories. 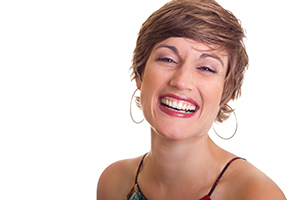 Dana Lynne Varga, Soprano, has worked with numerous opera companies including Boston Lyric Opera, Opera Boston, Caramoor, Connecticut Lyric Opera, Boston Baroque and Commonwealth Opera. An avid concert soloist, recent highlights include the Dvořák Te Deum with the Metropolitan Chorale (Jordan Hall), the Beethoven Mass in C at Tanglewood (Ozawa Hall), Vaughn William’s Sea Symphony with the Metropolitan Chorale (Sanders Theatre), the Dubois Seven Last Words with Coro Allegro and the Bach B Minor Mass with the Rhode Island Civic Chorale and Orchestra. 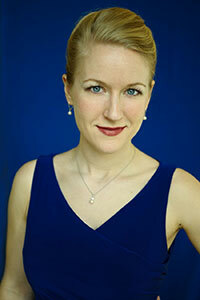 Ms. Varga was awarded the 2012 St. Botolph Emerging Artist Grant for excellence in music, placed first in the Arlington Philharmonic Competition in 2008 and was among the winners in the Boston Regional Auditions of the Metropolitan Opera National Council Auditions in 2007. She won first place in the National Association of Teachers of Singing Competition in both 2004 and 2005. Ms. Varga has attended many young artist programs including the Caramoor Bel Canto Young Artist Program in NY, Britten-Pears Programme in the UK, PORTopera program in ME and Brevard Music Center in NC. Upcoming engagements include Handel’s Messiah with the New England Classical Singers and both the Fauré Requiem and Nielson’s 3rd Symphony with the Springfield Symphony. Ms. Varga holds the Doctor of Musical Arts degree from Boston University and the Master of Music degree from New England Conservatory. She is the Founder and Artistic Director of MetroWest Opera and is on the vocal faculty of the prestigious BU Tanglewood Institute. To learn more please visit www.danavarga.com. 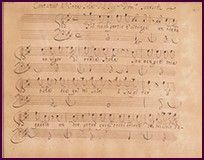 Help Calliope’s Call continue to create exciting and innovative art song programs! Calliope’s Call is a 501(c)3 nonprofit organization. Your donation is tax deductible to the fullest extent allowed by law. Copyright © 2014-2019 Calliope’s Call. All Rights Reserved.